After exploring Budapest’s iconic sights and Castle Hill sights, we ventured further south along the Danube River to Gellert Hill, the tallest hill in central Budapest at 771 feet. 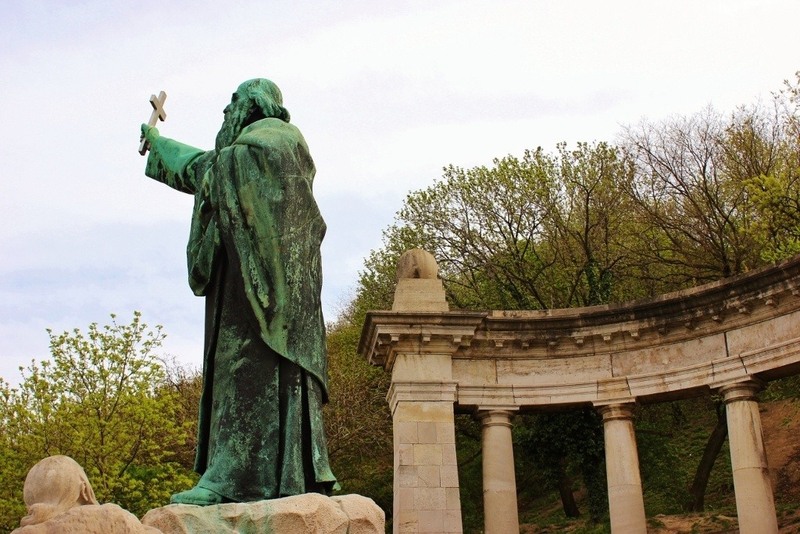 The hill is named for Bishop Gellert, a monk who was brought to Hungary in the year 1000 by King Istvan to aid in converting people to Christianity. According to legend, a group of those opposing that plan captured Gellert, sealed him in a barrel and rolled him down the hill to his death. A statue of St. Gellert, for whom the hill was named, graces the hillside. Rather than a plethora of sights to see, there are only a few tourist attractions on Gellert Hill: Cave Church, Liberty Statue, the Citadel and panoramic views. The sights are connected by hiking paths shrouded in trees, which offer a touch of nature in the heart of the city. The Gellert Thermal Baths are at the base of the hill and many statues are found along the paths. The hill is part of the UNESCO World Heritage site, Banks of the Danube River. 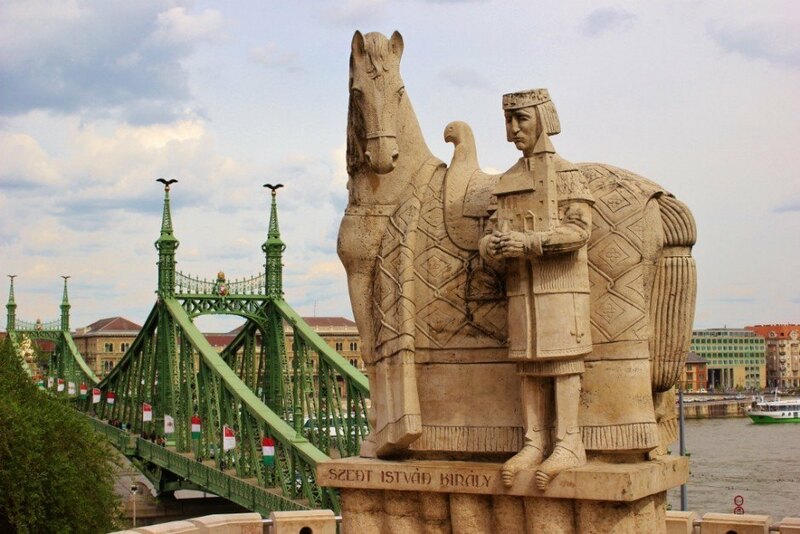 A statue of St. Istvan and his horse with the Liberty Bridge in the background sits at the entrance to the Cave Church. Transformed into a church in the 1920s, the Cave Church is under the care of the Pauline Order and the monks live in the nearby hillside monastery, topped with turrets. During the communist era, the entrances to the church were sealed with concrete and monks were imprisoned. The church was restored in the early 1990s and is now open for masses and tours. The altar inside the Cave Church. 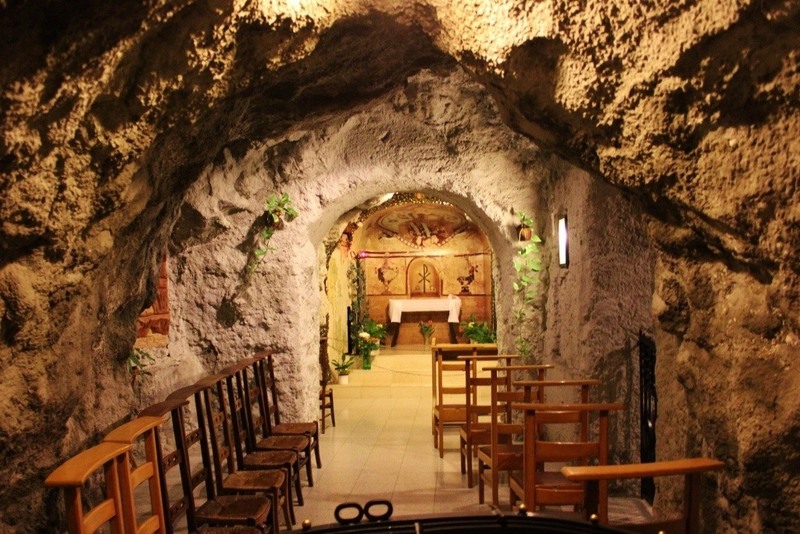 The walls inside the Cave Church are natural rock. The 45 foot tall statue of a woman holding a palm leaf overhead, representing peace, sits on an 85 foot tall pedestal and is visible from most points along the river. 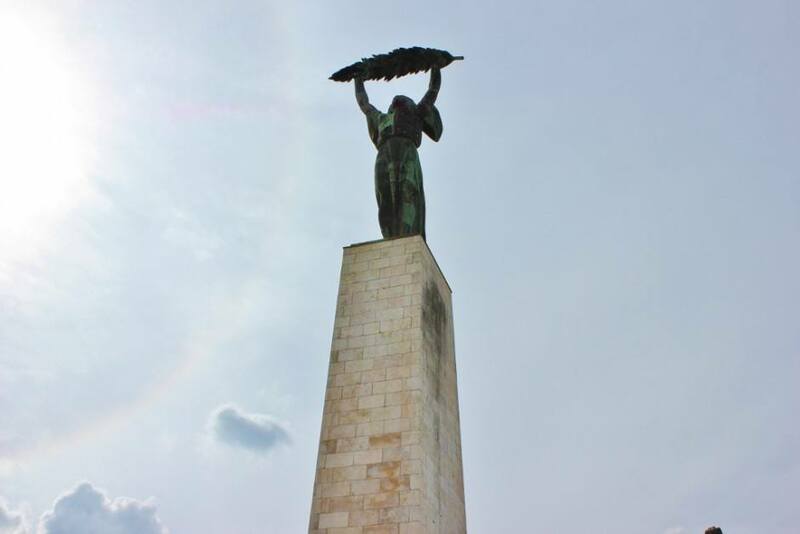 The inscription reads: To the memory of those all who sacrificed their lives for the independence, freedom and prosperity of Hungary. 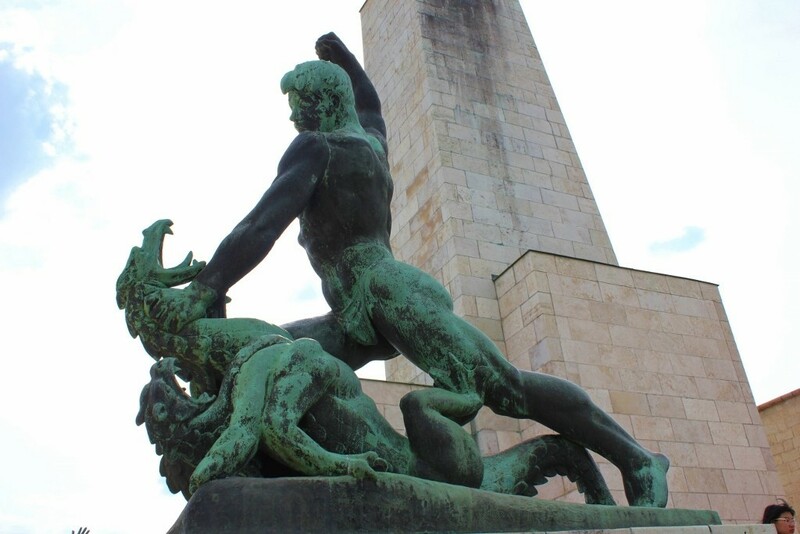 Two other statues sit at the base, one of a man slaying a dragon, which represents the defeat of fascism. A statue at the base of the Liberty Statue of a man slaying a dragon. The building, which the Habsburgs constructed in 1851 to both show their power and as a lookout over Buda and Pest, is rather plain. The real sight is to look away from the citadel for the panoramic views over Budapest to both the north and south. 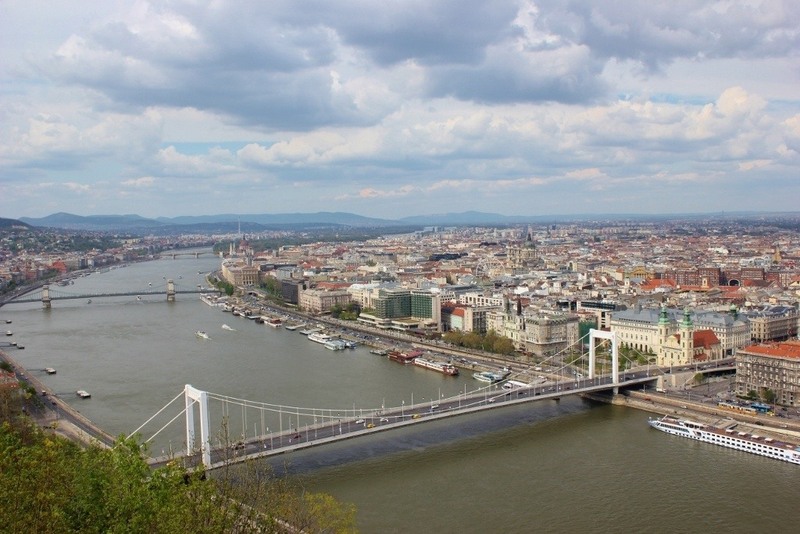 Panoramic views of the Elizabeth Bridge and Budapest. 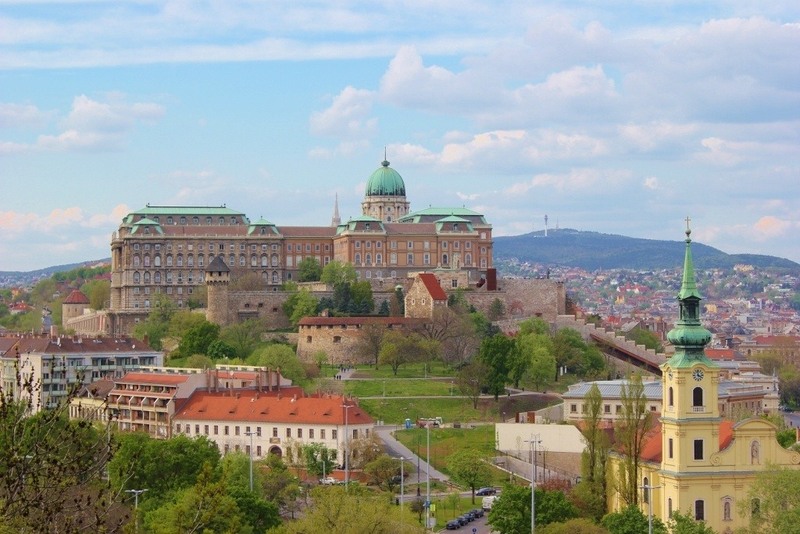 A view of the Royal Palace on Castle Hill from Gellert Hill. 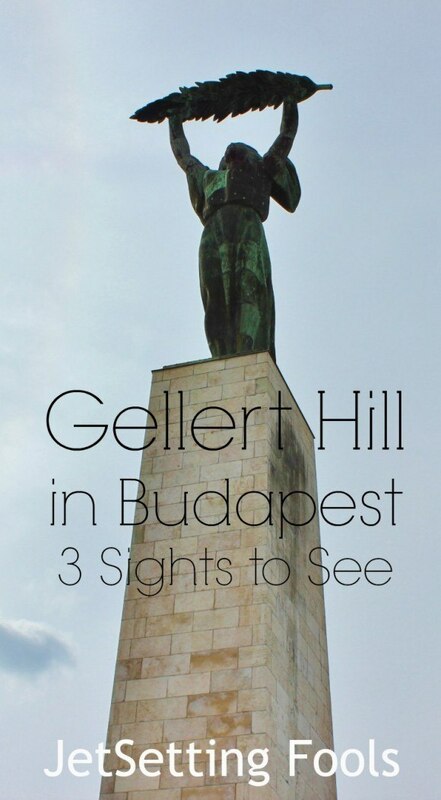 We want to know: Have you been to Gellert Hill in Budapest? What did you think of the views from the top? Tell us in the comments! A trip to a spa is an essential Budapest activity! There are many Budapest spa packages available, which range from basic to luxury. Szechenyi and Gellert are the two most popular tourist spas, both of which also offer massages. A cruise on the Danube River is a popular way to see the city – which include everything from public passenger ferries to dinner cruises. Find a Budapest River Cruise that fits your style and budget! Guides lead visitors through the city on a variety of walking tours – everything from neighborhood specific to food tours to Ruin Bars (which can also be seen on a Pub Crawl!). 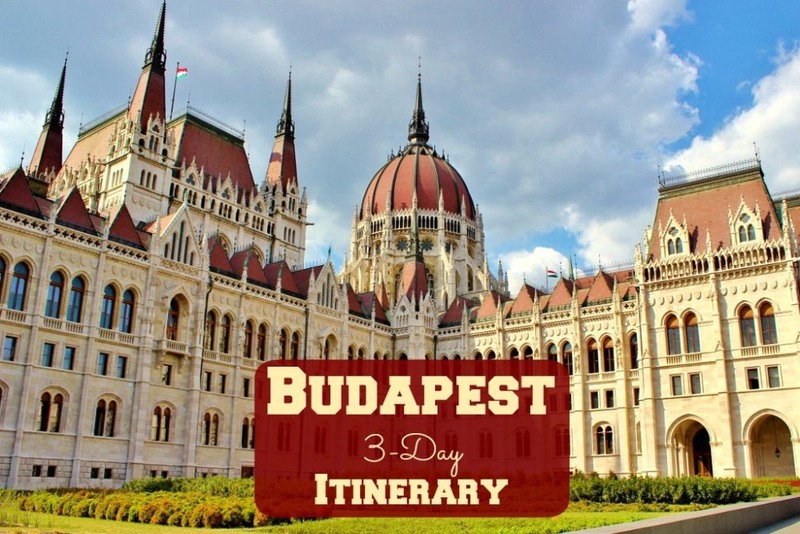 Our Budapest 3-Day Itinerary covers some ground, most of which is on foot. The public transportation keeps the city well-connected. Click here for information on methods of transport and cost or catch a ride on the Big Bus Budapest, which makes stops at all the top tourist sights! If you are planning on visiting the top Budapest sights and using public transportation, a Budapest Card can save you money. Budapest is an affordable city, but many of the sights charge exorbitant entry fees. 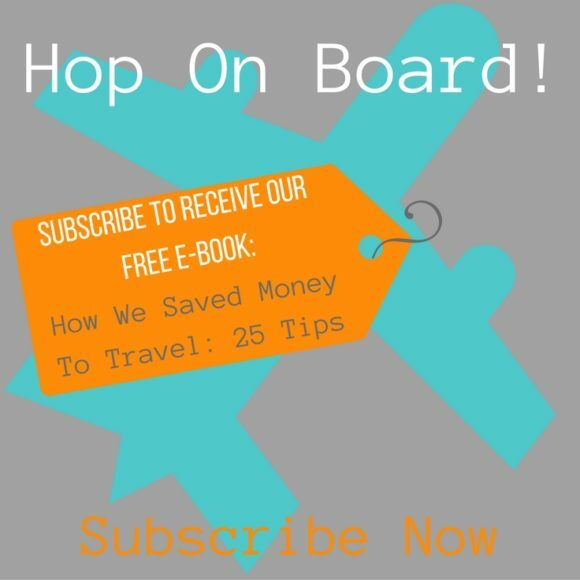 Click here for our recommendations for Budapest on a Budget. 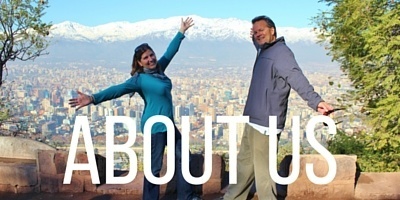 We, once again, relied on our go-to option of Airbnb.com to secure accommodations – and we weren’t disappointed. Located in District Six, we were well within walking distance to the sights. Our high-ceilinged, bright apartment had one large room with a separate kitchen and bath – and only cost $34 a night. (Use this link to join Airbnb and save money on your first stay!) We have found that staying in apartments is often less expensive than hotel rooms – with the added benefit of a kitchen and, usually, more space. Budapest holiday apartments can also be searched on FlipKey (which is part of TripAdvisor) or on VRBO – Vacation Rentals By Owner. However, for those who prefer staying in traditional accommodations, there are many Budapest hotels to choose from in – or close to – the city center. Check out these top-rated hotels (based on guest reviews!) for your upcoming trip: Hotel Moments Budapest, Callas House and Aria Hotel Budapest. Or, find a deal on a hotel room by bidding on Priceline. Budget travelers can search for Budapest Hostels – like Georges, Metropolis Hostel and Flow Hostel. 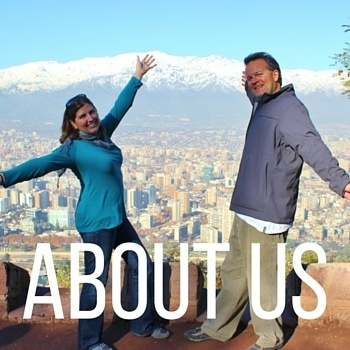 For a true bargain – and a unique experience – search for hosts on Couchsurfing, where travelers stay with locals for free. Budapest can be reached by plane, train, bus or car. We arrived by train (Ljubljana to Budapest) and departed via plane. To get from city to city when flights are not possible, we usually rely on public transportation and take trains or buses. In Europe, we use Rail Europe to find train tickets and our preferred bus company is FlixBus – as it is economical, clean and comfortable with on-board wifi, seat-back entertainment, refreshments and a toilet. We aren’t keen on driving abroad, but renting a car can often save time and money (especially when traveling with more than two people) – and it allows for greater discovery. Budapest is a walkable city…but only if you have the right shoes! Don’t forget to pack a pair of lightweight and comfortable walking shoes for your trip. I (Sarah) have traveled with these shoes by Columbia, Skechers and Reef. Kris prefers wearing these shoes by Merrell and Sanuk. 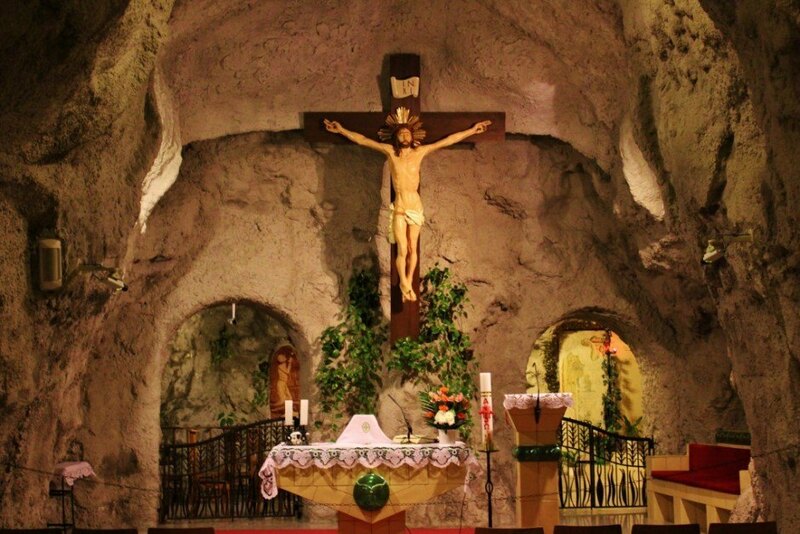 The pics of the Cave Church are incredible!! It was a really cool church. We’ve been in A LOT of churches and a Cave Church was definitely a first!